In an interesting dichotomy between two different cities, both London and Chicago are proving out that not only does outlawing weapons fail in its agenda to curb violence, but also that law enforcement and first responders are powerless to protect the public. In the UK for example, knives are banned for the most part (Including recent attempts to outlaw kitchen cutlery). However this ban has not stopped stabbings and other knife violence from skyrocketing. 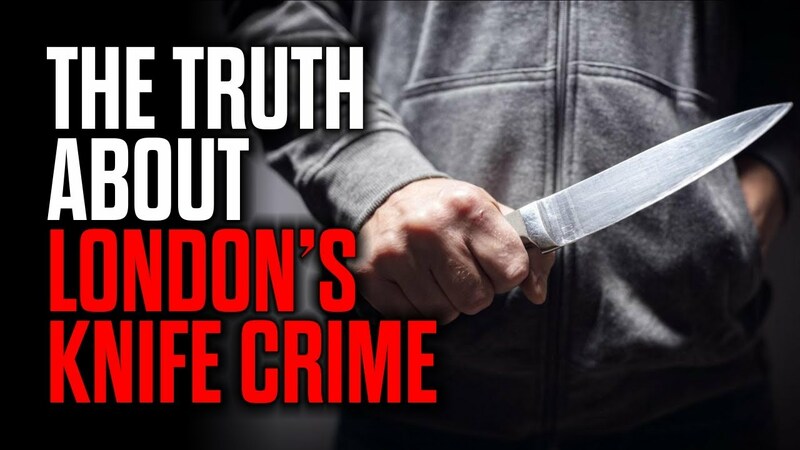 On Wednesday, London police responded to separate stabbings within hours of each other, the victims, a young boy believed to be in his teens and a man, were sent to the hospital with life-threatening or serious stab wounds, according to a report by Fox News. Of the five people stabbed this week, the youngest was a 15-year-old boy named Jay Hughes. Hughes was attacked outside a chicken shop in broad daylight. And that perfectly explains the horrific epidemic. During the first six months of the year, police recorded 39,332 knife crime offenses which is a 12 percent increase over last year, according to the Office for National Statistics. Other violent crimes, including murder and robbery, also increased by double-digit percentages proving bans will never work. Then of course there is the long-standing violence capital known as Chicago, where gun laws are so stringent that the local government attempts to mete out every outburst of violence with even more laws. As of the 15th of February, Chicago racked up 326 shootings and 72 murders. That puts the city on the same pace as 2016, which saw the highest murder rate in decades. Police Superintendent Eddie Johnson again called for tougher gun laws. “Enough is enough,” he said. Illinois Governor Bruce Rauner proposed sending state troopers to Chicago. Without being specific, President Donald Trump suggested sending in the feds. Chicago ranks in the top 4 U.S. cities for gun related homicides, but would be much higher if their population didn't crate a lower per capita rate than places like Baltimore or Charlotte. But the bottom line is that when weapon ownership is banned in a given city, country, or region, only the law abiding citizen will follow these laws, and in the end make them both targets and victims to those who have no fear of laws or law enforcement.